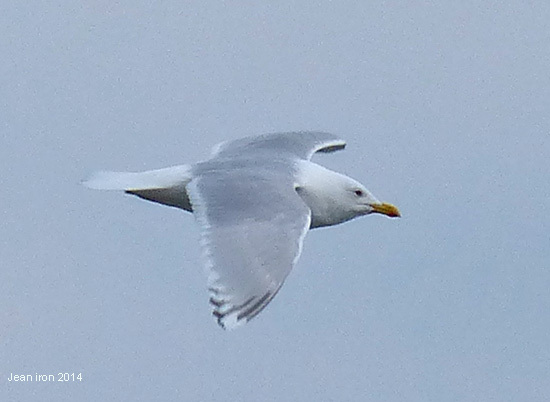 One of the 7 Kumlien's Gulls at Bluffers Park in Toronto on 7 April 2014. Remarkably 4 were first cycle. 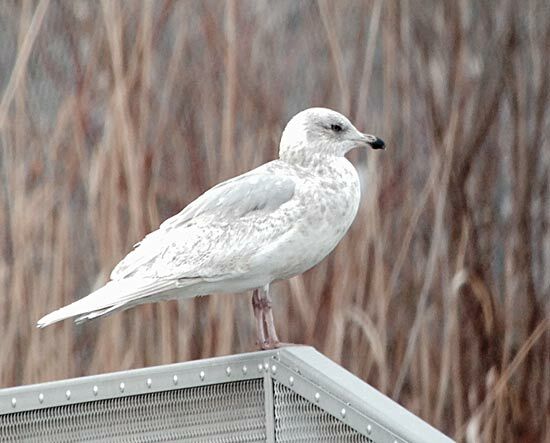 At one time there were four first cycle plus the second cycle at the water treatment ponds. 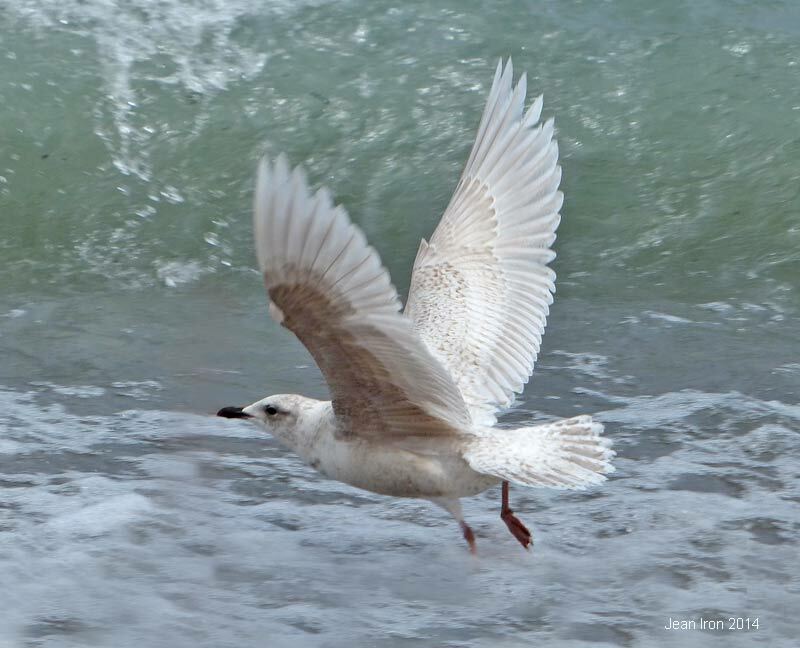 Same first cycle bird as above. 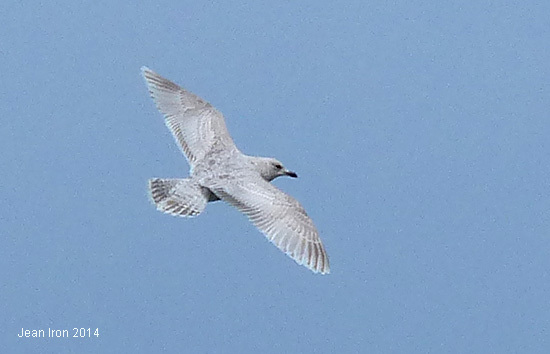 It has very worn scapulars and wing coverts. This amount of wear was typical of the first cycle birds. 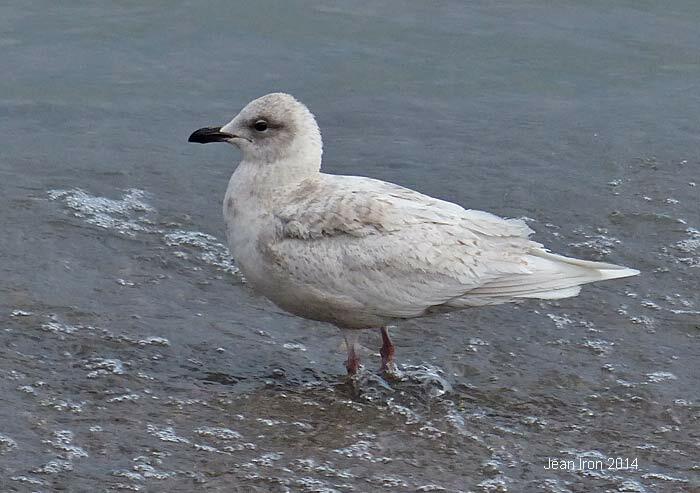 Adult Kumlien's Gull at Bluffers Park molting into breeding plumage - no head streaking. 7 April 2014. 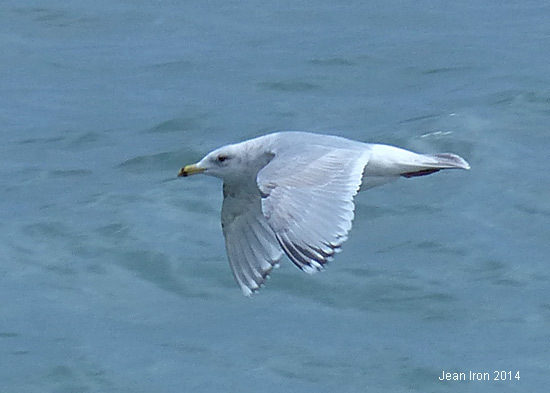 A poor photo of the second cycle Kumlien's Gull at Bluffers Park on 7 April 2014 included to document the age class.